Successful implant treatment is the result of a precise and well planned surgical procedure. 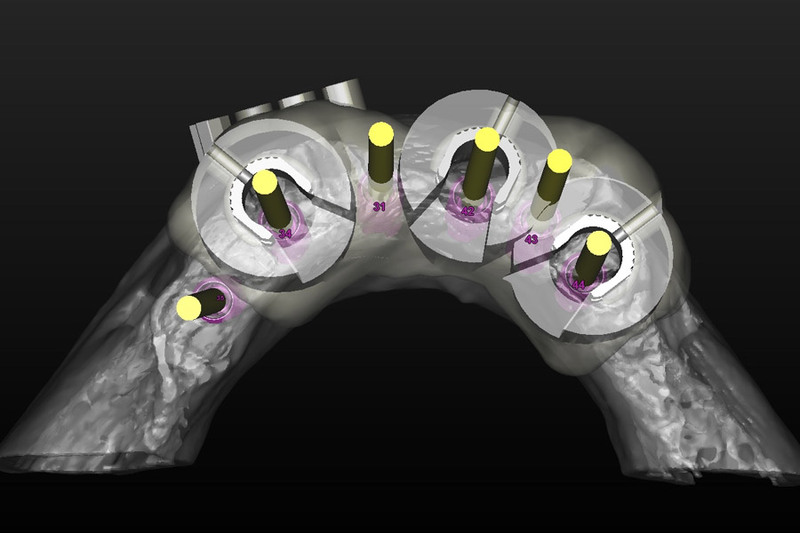 State-of-the-art computer-guided implant treatment solutions allow for restorative driven implant treatment with outstanding prosthetic results as planned. 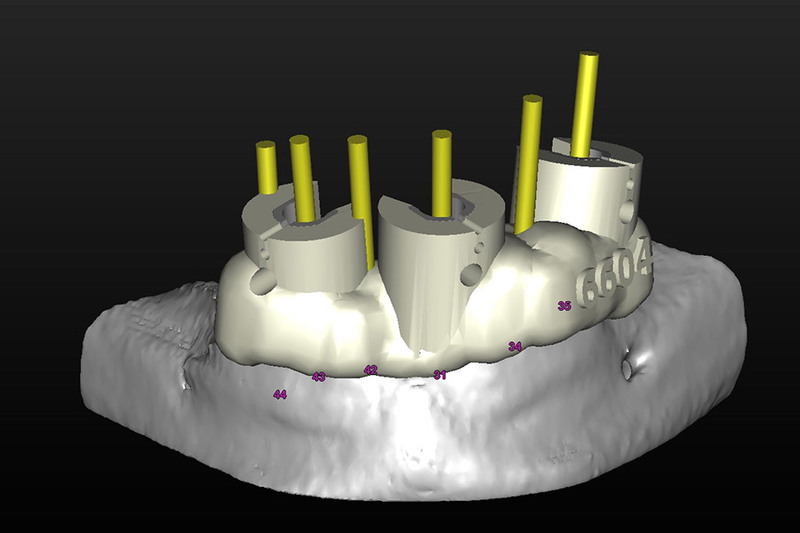 Within the guided surgery treatment protocol, surgical guides provide the seamless link between digital 3D planning and the actual implant treatment. 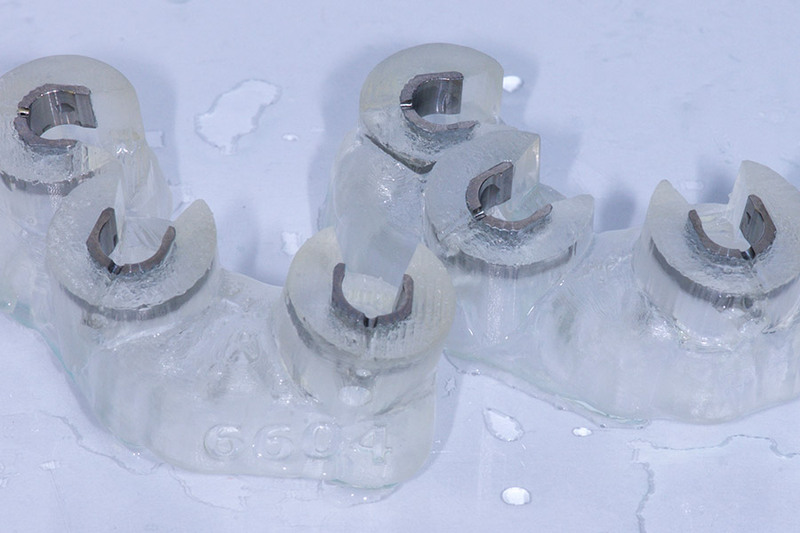 Using state-of-the-art 3D technology and highest production standards, Simplant guides are developed, designed and manufactured centrally to assist clinicians worldwide in delivering safe and predictable implant treatment. As a manufacturer of medical devices, the Simplant Guide production is compliant with the European Medical Device Directive and with the Quality Systems Regulation (CFR section 820) under the authority of the FDA. Along with the high quality of the guide itself, every order is being assessed to make sure that the guide to deliver is the best solution for the specific case. 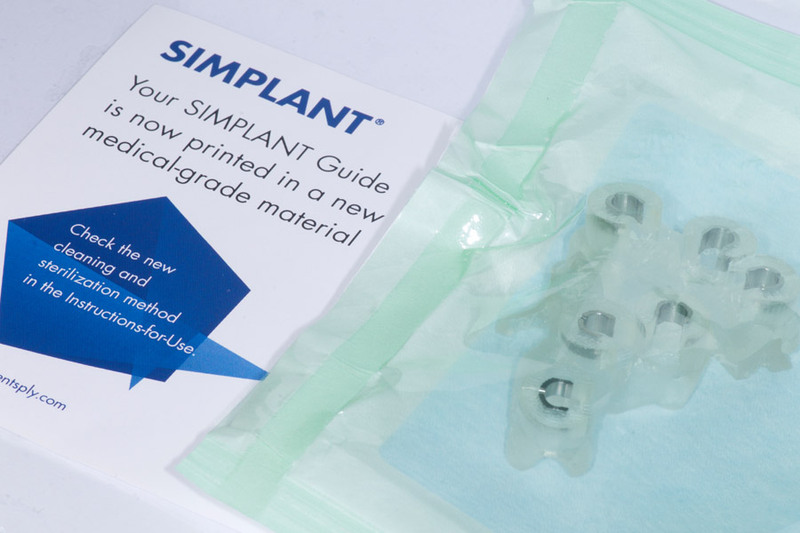 With the switch to a new medical-grade material enabling standard steam sterilization of the guides and an improved guide design, Simplant guides recently took another step towards smarter and safer implant treatment – allowing clinicians to perform their preferred surgical technique with utmost confidence. 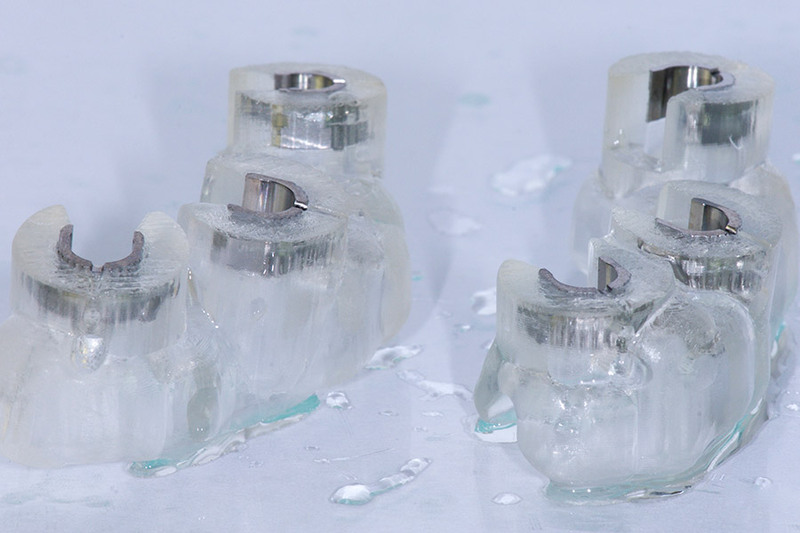 For a successful management of highly complex dental implant cases, a close cooperation between the surgeon and the dental technician is a must. Uli Hauschild, Dental Technician from Sanremo, Italy, cooperates on an international level with surgeons worldwide. In the particular case shown here, Uli Hauschild and Dr Marc Charrier, Dental Surgeon from Nice, France, were planning their case strategy with a restorative-driven treatment approach. They were among the first users of the new Simplant guides. Both consider these new guides an ideal tool to increase efficiency and, most important, safety of an implant treatment. When doing their first case with the new guides, they decided for a direct comparison. They ordered two sets of guides, one made from the new material and one from the material used before. Simplant guides with new medical-grade material (left) and the material available before (right). 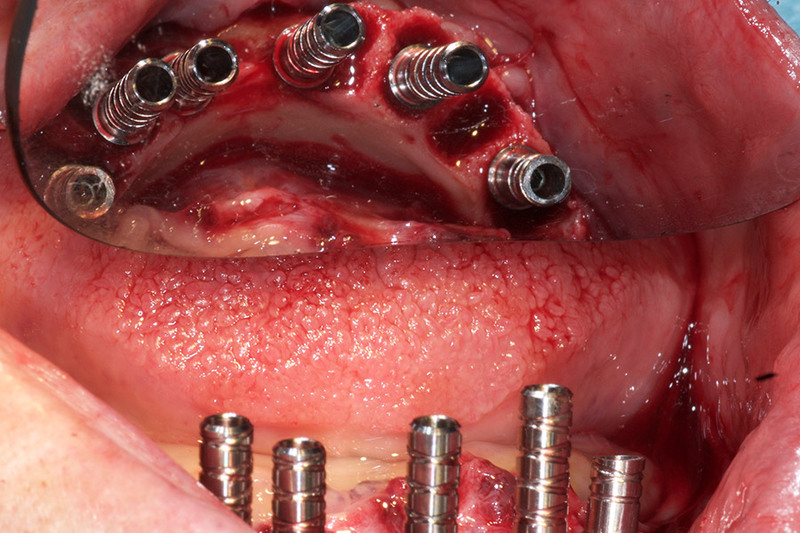 Immediate placement of six implants after tooth extraction in the mandible. Directly after surgery, the implants have been restored following the Immediate Smile concept. Pictures courtesy of Uli Hauschild, Sanremo, Italy. 1. 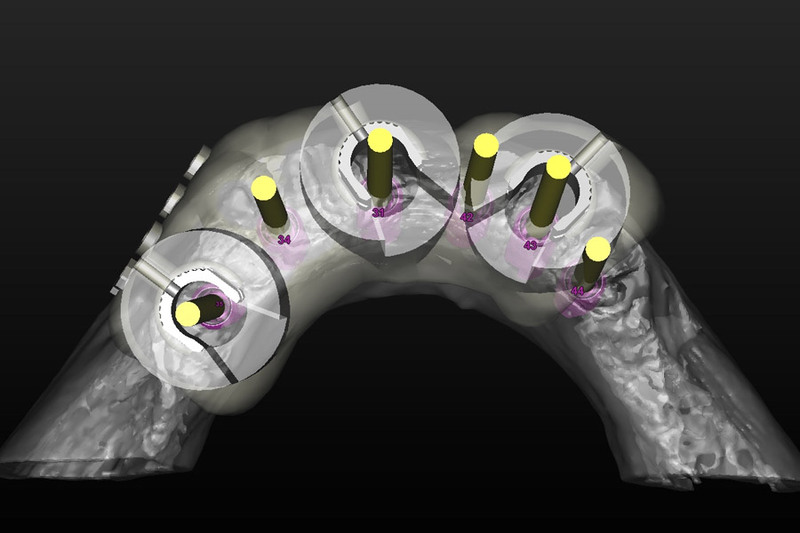 Design of the surgical guides based on the implant planning with Simplant Software. 2. 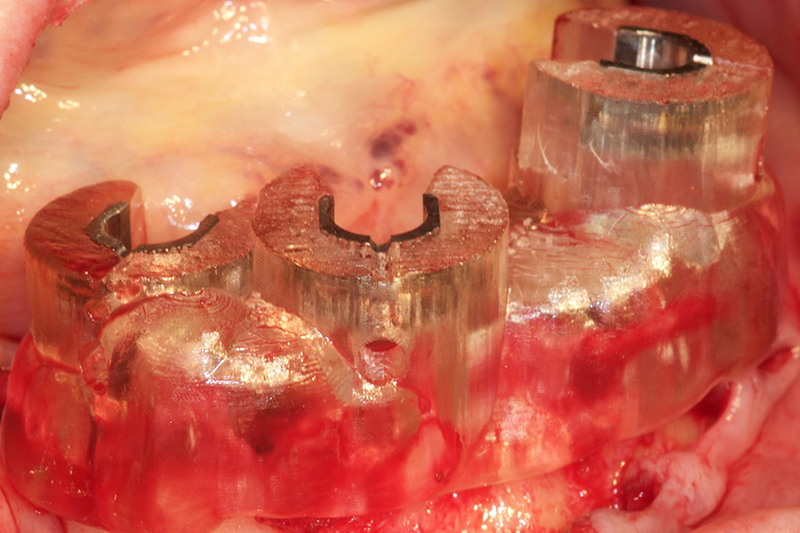 Due to the reduced inter-implant distance, two guides with staggered arrangement of three implants per guide have been ordered. 3. Vestibular view of the bone-supported guide design. 4. The new Simplant guides after delivery. 5.+ 6. Simplant guides made from the new medical-grade material. 7. The increased transparency of the new guides provides improved visibility during surgery. 8. 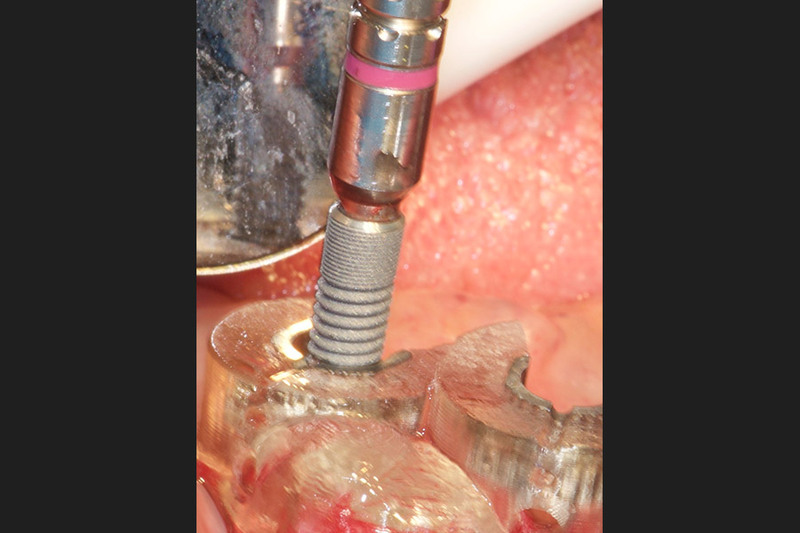 The option of open guide sleeves allows for easier access during drilling and implant placement. 9. The six implants in situ, after removal of the surgical guides. Would you like to learn more about computer guided implant treatment with Simplant? Download a pdf file of the Simplant concept brochure. Watch the movie to learn more about the application of the new Simplant guides.